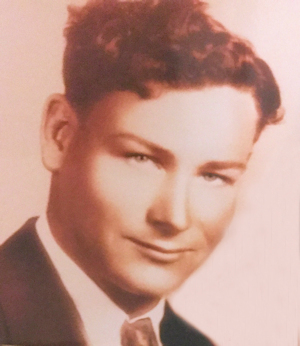 Obituary – LeTellier, James Eldridge « Perry High School Alumni Association, Inc.
James LeTellier, 33, served in the United States navy since his enlistment on June 3, 1927, after his junior year at Perry high school. He was born in Waldron, Arkansas, to Mr. and Mrs. P. E. LeTellier and moved to Perry with his family in 1921. He was a chief petty officer in the navy. LeTellier and Minnie Martin were married in Norfolk, Va. on July 11, 1931. They made their home in Washington, D.C. for several years with their 8-year-old daughter, Anea Bell. He had flown to Perry from Washington for his brother Grover’s funeral and was on his way to San Diego, Calif. to exchange the amphibian which he was to ferry back to Washington. He had planned to stop for a short while at Camp Barkeley, Texas, to return his brother, Paul, who was stationed there. The fatal mishap was James’ first accident since he had been in the navy. Friends had overheard him remark before leaving Perry that he had been having trouble with a propeller and was expecting trouble of some sort.